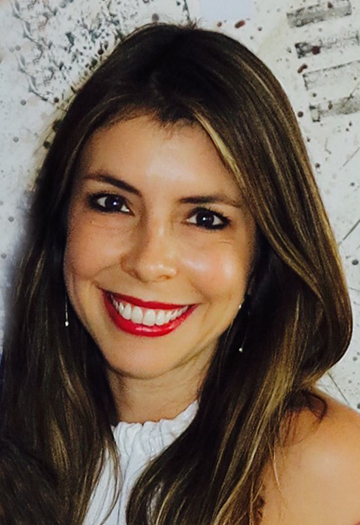 Ashleigh Lindenauer is the founder and principal of Lindenauer Design, a boutique graphic design firm located in Miami Beach. Since its inception, Lindenauer Design has provided branding and design solutions for a wide array of clients, including startups, publicly traded companies, and not-for-profits across a variety of industries, including academia, real estate, law, finance, and more. The firm specializes in brand identities, corporate communication, and the design of collateral and packaging so clients can more easily differentiate their businesses, enhance performance, and connect meaningfully with audiences. Her work has been featured in Print, AIGA, HOW, GDUSA, Communications Arts, and in various shows, including the Black Book AR100 Show, International Logos & Trademarks, and Potlatch Annual Report Show. Ashleigh earned a Bachelor of Fine Arts from Washington University in St. Louis. Following her graduation, she honed her branding and design expertise over a ten year span at prestigious design firms in Chicago, Los Angeles and Miami. Ashleigh and her husband, Alec, have two daughters, and are long-time residents of Miami Beach. While Ashleigh currently serves as a board member of the Children’s Bereavement Center, she has been involved with the organization for close to 20 years as a volunteer facilitator working with children who have experienced the loss of a parent or sibling. Ashleigh is also very involved with her daughters’ school. She currently serves on the PTA, and devotes several hours per week to the school’s health and mental wellness programming. In that role, Ashleigh teaches mindfulness to elementary-aged students and manages portions of the school’s healthy eating initiatives.